The college library is well-stocked, easy to access for the student & faculty members. A digital library is also being introduced to further strengthen for the optimal benefits of the students. The library is well equipped with audio- visual aids, reprographics. & about 75 national & international journals etc. The Library has 36,000 books costing Rs. 52 lacks; there is separate reading room for boys and girls, as well as for teaching staff and non-teaching staff. All required books are available in the library. National & International journals are regularly available in the library. The Library is open from 7:30 AM to 5:30 PM there is book bank facility for first year students. The library Occupies 1804 sq. mtr. Area. Magazine section, Reference Section, Staff reading hall, Library Office, Book distribution section etc. 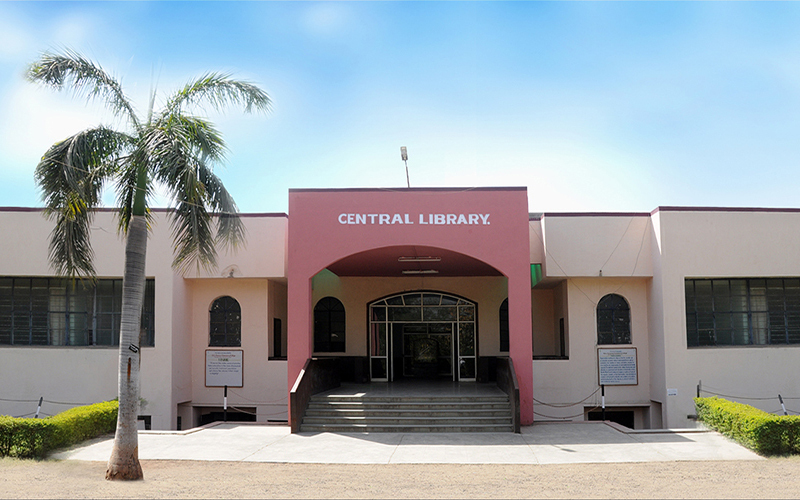 The Institute also has central library for student of various college like Arts, Science & Commerce, College of Education, Engineering, Polytechnic, and Pharmacy College of Agriculture. Number of books, reference books, journals, e-books in library . Copyright © 2018 PSGVPM's College of Pharmacy, Shahada. Designed & Developed by Raintek Solutions.